The Campbell clan of Scotland has a history dating back many centuries. Colin Lord Campbell was given the title Earl of Argyll in 1457. Archibald Campbell, the 10th Earl, was created Duke of Argyll in 1701. All those who succeeded to the title have served the British government in various capacities throughout the intervening years, and were prominent in many battles. John Douglas Sutherland Campbell had the title of Marquis of Lorne until 1900, when he succeeded to the title of Duke of Argyll. Born at Westminster, England, on 6 August 1845, he received his education at Eton, St. Andrews College, Scotland, and at Cambridge. University life bored him so he prepared himself for a career by extensive travel and associating with prominent and influential people. At a young age, he was a member of parliament for Argyllshire, Scotland, later for South Manchester, England. In 1871, the Marquis married Princess Louise, a daughter of Queen Victoria. Their marriage gave him special prominence in British public life. In July 1877, British Prime Minister Benjamin Disraeli summoned Lorne to Downing Street and asked him to take the office of Governor General of Canada. After some consideration he accepted, andheld the position from 1878 to 1883. In 1881, during his term of office, Campbell visited the Canadian West. Arriving in Winnipeg, he was impressed by the number of schools and churches that he saw. At Silver Heights, he was greeted by a triumphal arch resembling the front of Inverary Castle, constructed by his host Donald A. Smith (later Lord Strathcona). The Marquis and his party visited towns throughout Manitoba and the North West Territories (later Saskatchewan and Alberta), travelling much of the way in wagons over rough, unsurveyed land. Their journey of twelve days from Battleford to Calgary “was not entirely free from peril. Horses died beneath their riders, mosquitoes swarmed about the wagons in hungry thousands, and prairie wolves, uncomfortably close to the camp, howled dismally all night.” On 5 September, a herd of buffalo was sighted and three of them were killed by some of the riders of the party. This was one of the last buffalo hunts of the plains. Returning to Winnipeg by rail through the United States, Lorne addressed the Manitoba Club on 11 October. 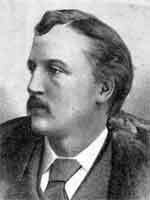 Campbell died on 2 May 1914 on the Isle of Wight. He is commemorated by Argyle Street and Lorne Avenue in Winnipeg, and Lorne Avenue in Brandon. This profile is based on information compiled by historian Harry Shave.